The U.S. Food and Drug Administration approved GE Healthcare‘s new breast tomosynthesis solution designed with three-dimensional imaging technology, SenoClaire. The novel technology, developed in collaboration with Massachusetts General Hospital, uses a low-dose short X-ray sweep, surrounding the positioned breast with nine exposures acquired and a “step-and-shoot” method, in order to reduce the potential motion from the imaging tube, as well as any blurring in imaging, while also increasing image sharpness. 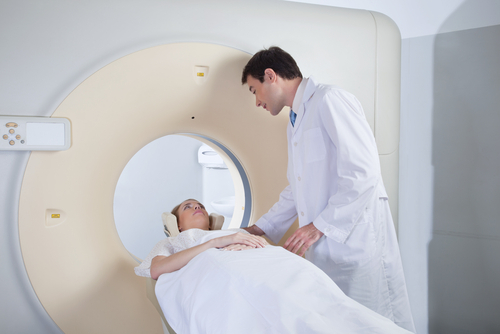 According to GE, SenoClaire is not only able to provide clear images but also to perform screening mammography and keeping the radiation levels low, with no increase in dose from a 2D standard mammogram to a 3D view, one of the biggest challenges for screening. “3D breast screening technology helps clinicians uncover small cancers which can be a limiting factor in standard 2D mammography,” explained professor of diagnostic radiology and molecular imaging at Oakland University William Beaumont School Of Medicine and Director of the Division of Breast Imaging and Intervention at Beaumont Hospital, Royal Oak, Murray Rebner. 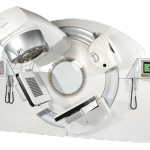 Dr. Rebner believes that it is important to offer technology like SenoClaire for patients that produces higher image quality without increasing dose of radiation. 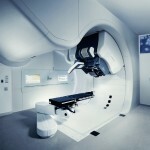 “We believe this technology can have a significant impact on helping clinicians to identify breast cancer,” he added. At the Breast Imaging Division Department of Radiology of the Massachusetts General Hospital, it is also thought that the announcement marks “a key milestone in our mission of providing women with cutting edge screening technology to detect early breast cancer,” as stated by the senior radiologist from the Breast Imaging Division Department of Radiology of the Massachusetts General Hospital, Dr. Daniel Kopans, as he explained that identifying and treating cancer earlier, increases the rates of survival. “With the FDA’s approval of SenoClaire, we build on our breast care continuum which offers physicians and patients a complete suite of solutions, from screening and diagnosis through treatment and monitoring,” said the chief marketing officer of GE Healthcare, Detection and Guidance Solutions, Catherine Tabaka. “SenoClaire not only offers patients a new solution to help clinicians better detect breast cancer, but does so with low dose radiation and high image quality. 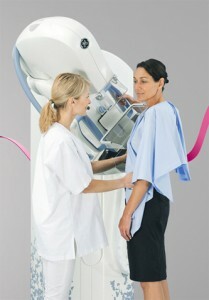 This new generation technology, breast tomosynthesis, together with innovative solutions like contrast enhanced spectral mammography, automated whole breast ultrasound, and molecular breast imaging will equip healthcare providers with a comprehensive set of tools that will help their patients across the entire breast care continuum,” she added. In addition to clarity, confidence, and low dose, SenoClaire is also compatible with CentricityTM PACS with Universal Viewer, and supports the DICOM standard that can be read by capable PACS vendors. When combined with GE Healthcare’s Centricity PACS and Centricity Clinical Archive solution, clinicians could access patient’s longitudinal record, including data that helps provide better patient care. Tagged approval, Dr. Daniel Kopans, FDA, GE Healthcare, Massachusetts General Hospital, SenoClaire.